We specialise in residential and commercial tree removals within confined areas where felling is too risky. Using safe, controlled methods to ensure the protection of any targets or obstacles near the tree such as telephone and power cables, walls, fencing, sheds, roads or neighbouring buildings. We always climb with a rope and harness dismantling the tree in sections and use the additional control measure of rigging equipment whenever necessary. Where there are no risks, felling may be considered as an option. 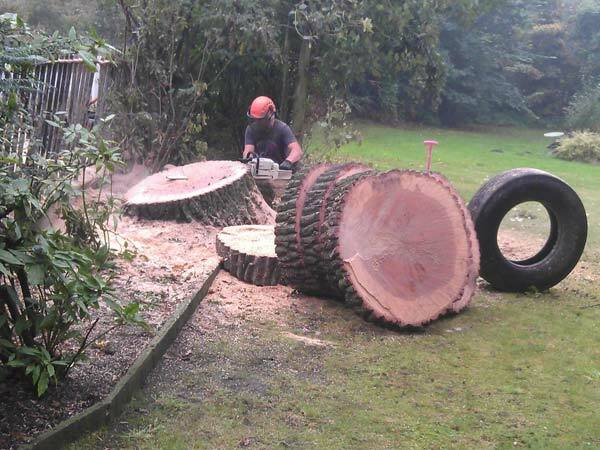 We can also organise stump grinding if necessary.